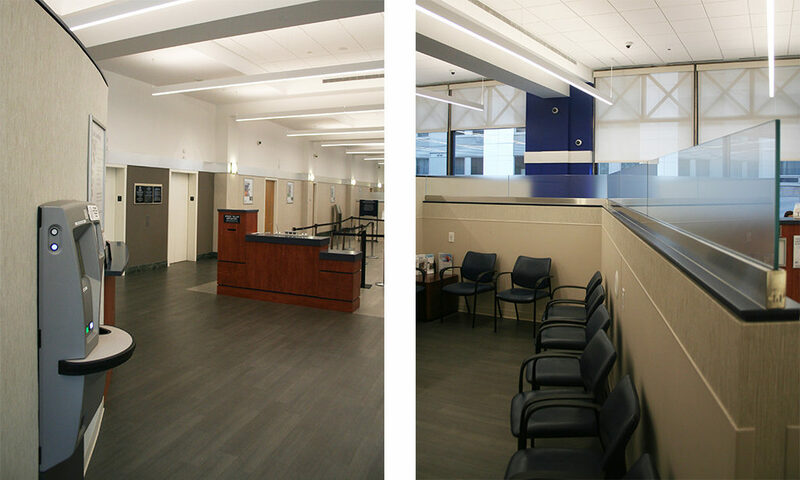 Charles Matsinger Associates recently worked with PFFCU on three of their Philadelphia branches. 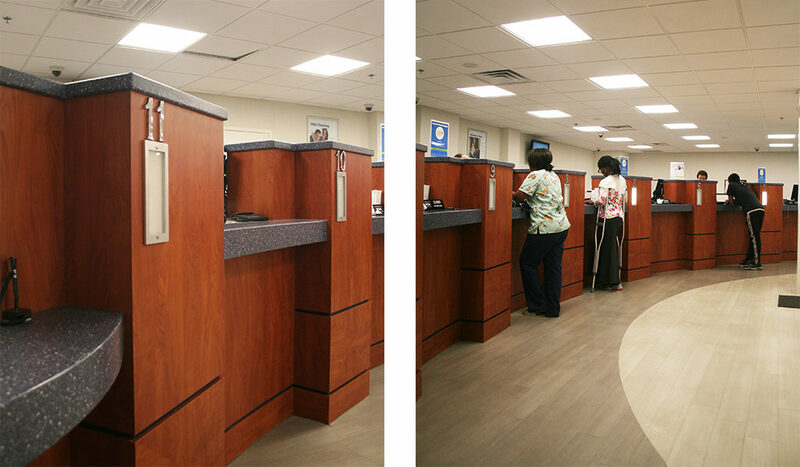 Renovations centered on new Teller Counters in each branch. Additionally, new lighting, finishes and furniture were added to update the spaces and improve member traffic flow. 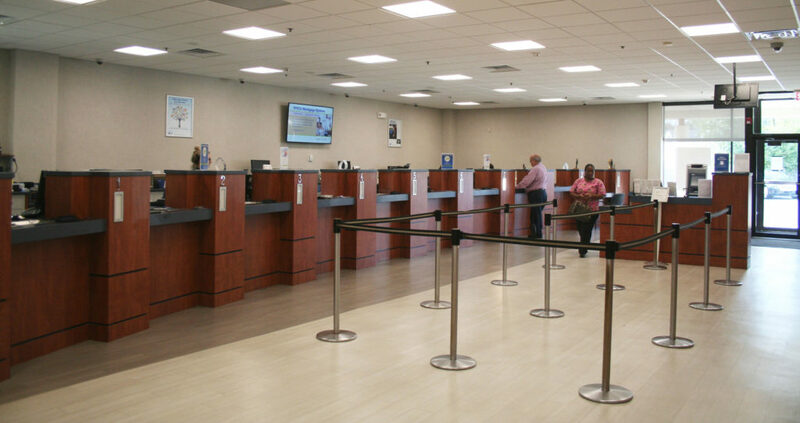 A new concave tellers’ counter was designed to provide improved lines of site toward arriving members at Police and Fire Federal Credit Union’s flagship branch. 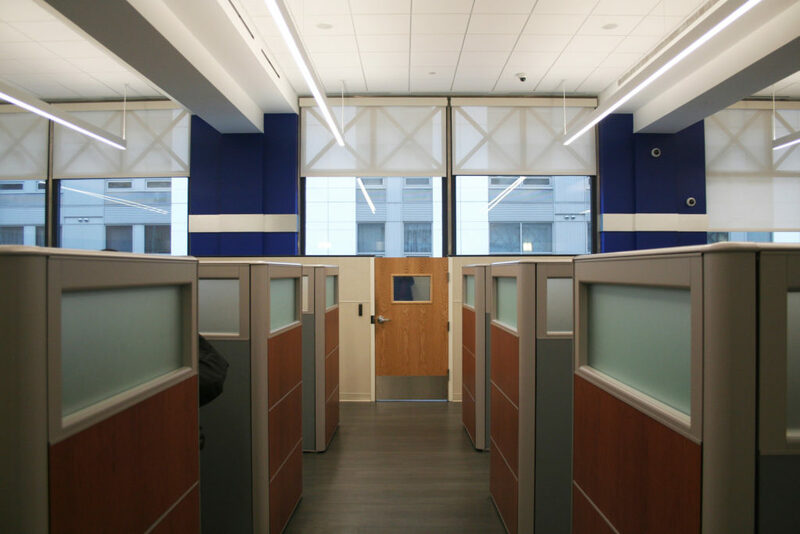 Light-colored walls and new suspended linear LED lighting fixtures were added to brighten the entire floor. 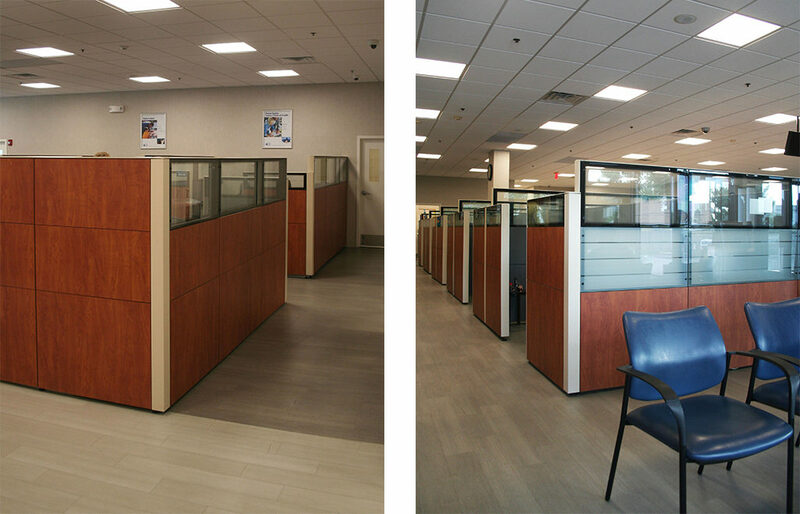 Wood laminate surfaces on tellers’ and MSR stations provide counterpoints within the monochromatic space. Deep blue exterior column faces create a rhythmic background for the new focal point tellers’ station. 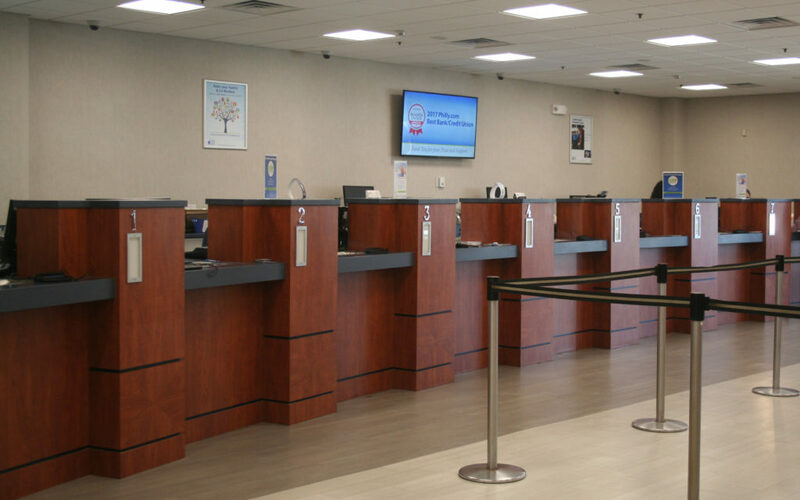 A busy but dated branch was recently renovated with light finishes and new LED lighting throughout. Along with these elements is a new, 270-degree curved teller station as its focal point. The existing space develops a cohesive open plan for employees and members. 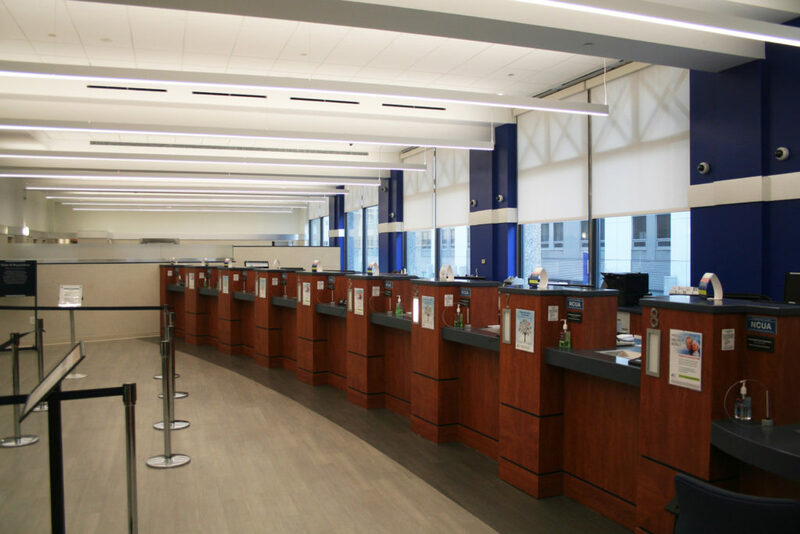 The new teller counter plan affords increased space behind the tellers for separate branch manager positions and counter space, eliminating former congestion in the teller traffic area. Implementing PFFCU’s new standard finishes contributes to brighten up an older, darker branch and give it new life. Wood laminate surfaces on the member stations and teller’s counter add warmth to the lobby. 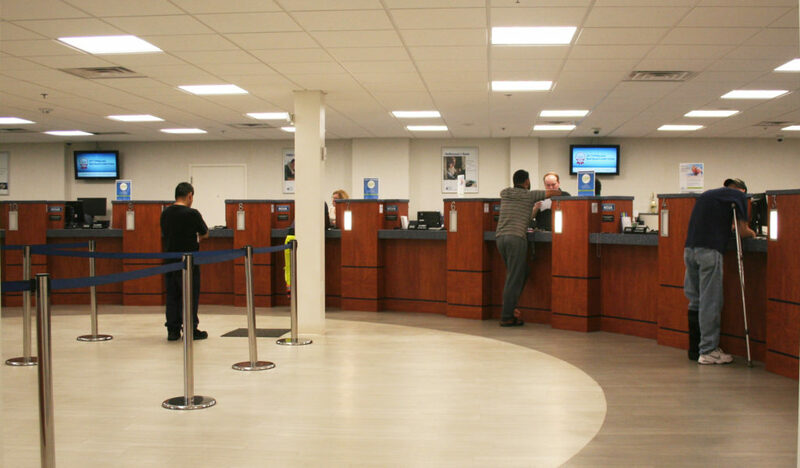 A new concave teller counter opens up the members’ waiting area and provides better sight lines throughout the branch. The addition of efficient LED fixtures compliments the new interior scheme. Dan Merz, Project Director at WH Myers Construction Co.